With so many different types of workout equipment available on the market, choosing the one that is right for you can be a difficult task. One option that you might want to consider adding to your home gym is the elliptical trainer. In fact, here are the top 5 reasons why you should use an elliptical machine in your workout plan. Since elliptical trainers work out the arms and the legs, they are an excellent option for working out many muscle groups while also improving cardio at the same time. Not only does this help to increase muscle and cardio endurance, but it can also assist with weight loss and reaching other fitness goals. Elliptical trainers offer a low-impact exercise option while providing benefits that are similar to jogging or running. For the general user, this helps to significantly reduce the risk of injury or soreness. For those with existing injuries or problems with their ankles, knees or hips, the elliptical trainer offers a viable solution that allows them to still get a great workout without further aggravating these conditions. In fact, studies have found that elliptical exercise is nearly identical to treadmill exercise in terms of the health benefits, but the elliptical creates far less joint impact. Elliptical trainers typically come equipped with pre-programmed workout routines that can be adjusted as your level of fitness improves. By providing you with this flexibility, you can choose a workout routine that is well-suited to your current level of fitness while gradually increasing the intensity as your fitness improves. 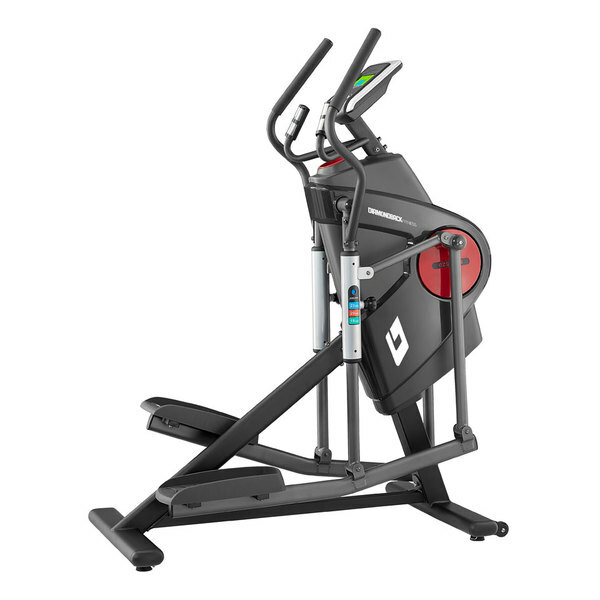 While you do engage your hands and your legs while using an elliptical trainer, the design of the machine still allows you to complete other tasks while you are working out. For example, you can easily look ahead in order to watch your favorite television shows. Since elliptical trainers are relatively quiet, you can also listen to your favorite music. In some cases, it is even possible to read while working out on an elliptical trainer. Since elliptical machines offer a low-impact yet effective workout, they are a good option for households where multiple people want to get in shape. From teenagers to the elderly, elliptical trainers can be adjusted to meet the workout needs and intensity of any user. At the same time, since they offer a low-impact option, they can be safely used by people of all fitness levels. With their ability to target a variety of different muscle groups, ranging from those in both the upper and lower body, the elliptical trainer is a great all-around option for those who wish to improve their overall level of fitness. Thanks to the low-impact nature of these machines, they can be used by the elderly as well as by those who suffer from injuries or other conditions that may make it impossible to use other types of exercise equipment. Up Next: How to choose the best home elliptical.